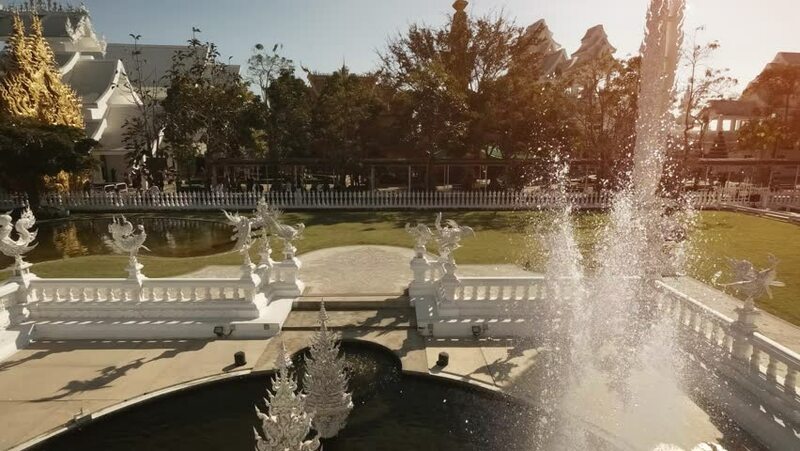 Ornate fountains and manicured gardens of Wat Rong Khun. an important Buddhist temple in Chiang Rai. Thailand.